Reflecting on his recent visit to California for the Global Climate Action Summit, and following the publication of a critical IPCC report on the impact of 1.5ºC of warming, Ricardo Lagos urges us to stand in solidarity with fellow citizens and future generations in the fight against climate change. Our world faces a complex and sometimes bewildering array of interconnected political and social challenges. The activities of The Elders over the past month gives a brief snapshot: we have engaged on health reform in India, climate change in California, and conflicts, human rights protection and global governance at the UN General Assembly in New York. We also still keenly feel the loss of our late Chair, Kofi Annan, whose remarkable life was honoured with a state funeral in Ghana, and memorial events at the UN in New York and Geneva where several Elders attended. In all our activities in September, and in all we will undertake in the coming months, Kofi remains a constant source of inspiration as we work to support peace, justice and human rights. Kofi called climate change “the great existential threat of our time”, and the new report by the Intergovernmental Panel on Climate Change (IPCC) released today shows starkly how much more we all need to do to reach the target of keeping global temperature rises to 1.5 degrees. I have recently returned from California, a part of the world already feeling the impact of climate change, most recently demonstrated in their most destructive and expensive wildfire season on record. Perhaps it is no surprise that California has responded to these stark realities and is fast becoming a beacon of progressive leadership on climate change in the United States. For this reason, fellow Elders Mary Robinson, Ban Ki-moon and I travelled to San Francisco to join other passionate climate advocates and speak at the Global Climate Action Summit (GCAS). We welcomed the news that California governor Jerry Brown and other state leaders are taking increasingly bold steps to impose regulations curbing the largest contributors to climate change. The state recently passed a bill requiring California to get 50% of its electricity from renewable sources by 2026, 60% by 2030 and 100% by 2045. However more needs to be done. 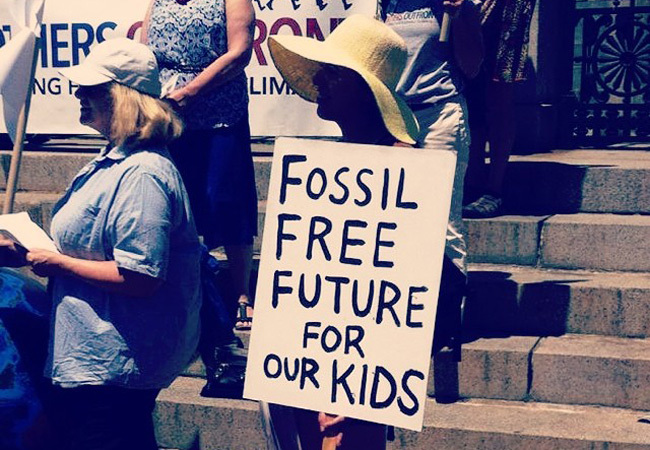 California is well placed to demonstrate much needed national and international leadership by taking further steps towards phasing out fossil fuel production entirely. It is unlikely that political leaders would ever have made these bold commitments, without the remarkable efforts and contributions of thousands of ordinary people - activists, academics and business leaders alike - across California and indeed the United States, standing up for climate action and climate justice. Citizens are making sure their demands are heard, undeterred by backward steps from world leaders and denialism in national and international media. 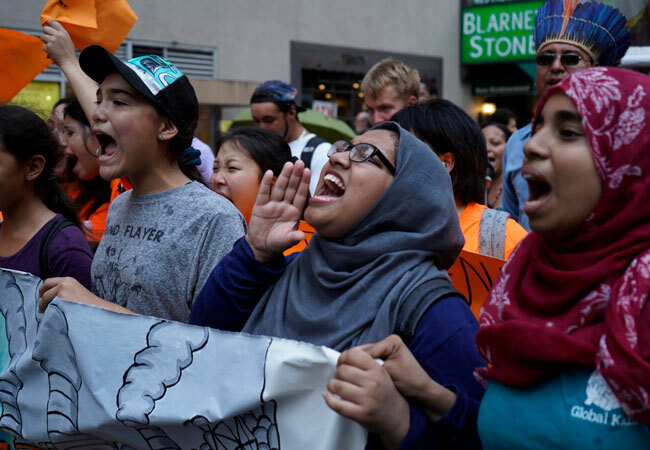 Thousands of people marched in California and elsewhere across the United States ahead of GCAS, demanding that leaders stand with people, not pollution profiteers. We need to politicians to go further, faster. As the IPCC report indicates – our current efforts are not enough to keep global temperature rises anywhere near the 1.5°C ambition of the Paris Climate Agreement. 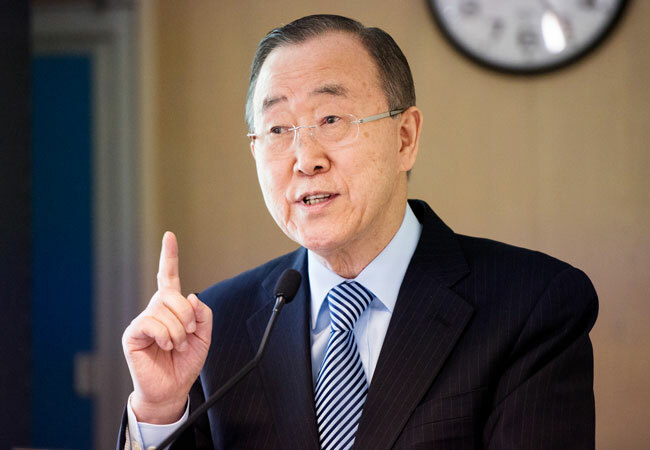 As my fellow Elder Ban Ki-moon made clear in a keynote address at the San Francisco General Hospital, there are clear links between climate change and worsening health outcomes, exacerbated in the US and other countries by a health system that puts profit before patients. The threats posed by climate change to planetary health cannot be understated. The time for stating the scale of the problem has passed, and we now need to move to urgent, radical action to keep temperature rises to 1.5 degrees. 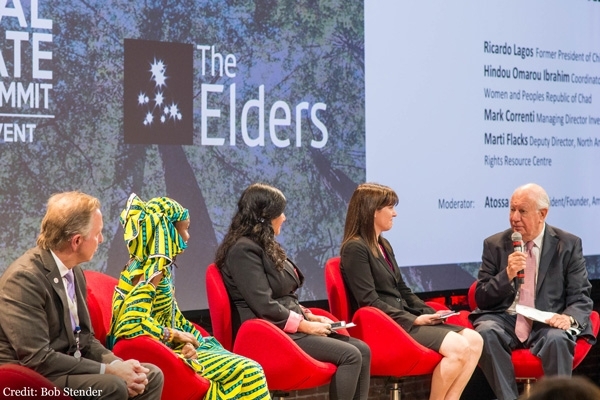 As Elders, we believe these challenges cannot just be left to climate scientists and health or environmental advocates. It is a battle that must be joined by all those with a belief in justice and solidarity with their fellow citizens and future generations.